Pakistan’s stand-in captain Shoaib Malik coined the ODI series against Australia important for the bench players as they will get a chance to mark their presence and make it to the national squad for the upcoming World Cup 2019. “For me, the team management has taken the bold decision at the right time to test bench players. 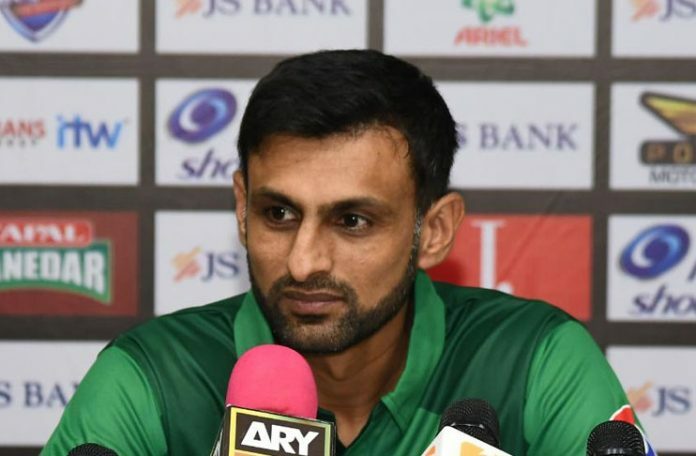 It will be an opportunity for the players to adjust themselves in the final combinations for the upcoming World Cup 2019,” said Malik while briefing to the media in pre-series presser. The skipper said that he will try to bring all boys on one page as the Protease will be mentally strong due to their convincing ODI series win over India at their home. “I believe in my players and we need to be so strong against them following their current form,” he said. The veteran batsman, who led the side against South Africa in the absence of Sarfraz Ahmed, praised the young bowler Mohammad Husnain for bowling at an average speed of 140kph+. “No one would have thought that any bowler of this generation will click 150kph but Husnain amazed the entire cricket fraternity with immense pace,” said Malik who sees a bright future for the 18-year-old pace sensation. Pakistan will play five-match ODI home series against Australia starting from March 22 at Sharjah. Previous articleDo you know who the real ‘Sheru’ is?